Loved to learn more about this amazing little protein pill. How about the fact that 24% of Moong (or Mung) is all protein. Compare that to 13% for Eggs and 3% for Milk. And once germinated - they are easy to eat in salad or simply snack with salt, lemon and black pepper. 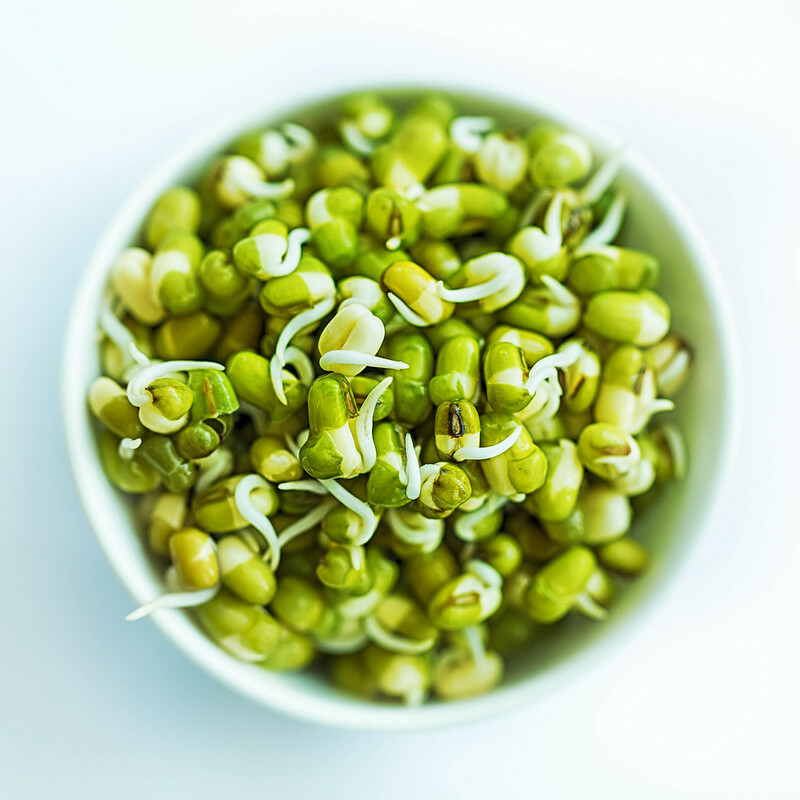 Also, while Mung beans are heavily used in Indian cooking, Chinese cooking primarily features the germinated sprouts in many of the mix-veg dishes. Another interesting tid-bit is that Mung may have been domesticated first in Mongolia about 4000 years ago. It is also found in India around the same time. Could the name 'Moong' have anything to do with it being originated in Mongolia? It is called Mongo in many other languages. The shot above is taken using a 100mm Macro lens. Taken from up close, the amazingly shallow depth-of-field pushes the rim of the bowl out-of-focus which pulls attention to the center, which happens to be sharply focused. The colors came out pleasing green. And for the background I just used a simple printer paper. This is a rare indoor shoot in natural light for me. I shot it by a window on the right and hence you can see the bowl's shadow specially on the bottom left. In "Culture", "Food", "Gear", "Photography", "Technique", "Vegetarianism"